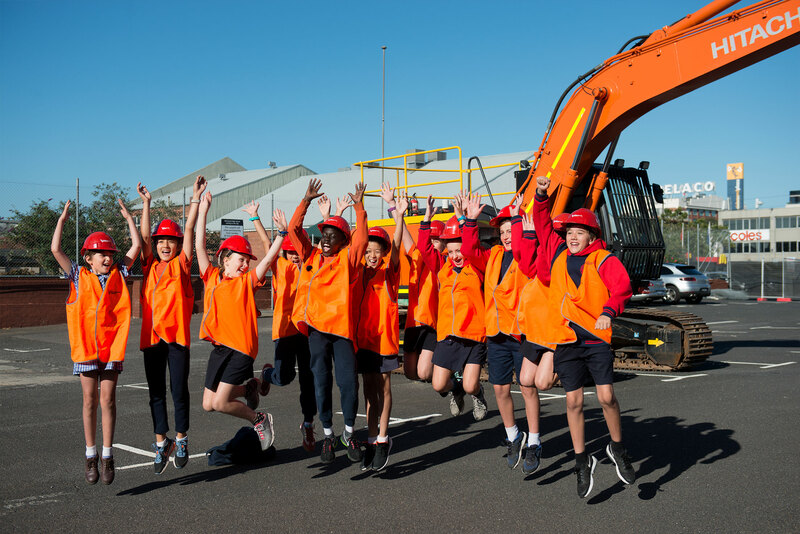 Construction of Melbourne’s new Richmond High School is officially underway following today’s sod turning by Victorian Premier Daniel Andrews. Hayball’s design of the four-storey, high-density school rethinks the education model, how a school operates in its community and what it provides. Director David Tweedie said that the challenge when creating a school over four levels is how to ensure it feels welcoming, and what defines it as a ‘school’? “Our strategy was firstly to focus on locating all the functions that invite school community participation on the ground floor – the library, the performing arts spaces, and spaces for sharing food, and secondly to make visible from the outside the activities of the school – including science spaces and outdoor learning. These are balanced with a series of protective enclosures to bring light and air into the interior,” he said. The flexible design of the outdoor learning environments is also a key part of the story. Hayball has also created an edible productive garden offering education benefits for the students.